In creating a painting, an artist expresses his thoughts and feelings primarily through form and color. Form and color are inextricably linked; no form exists without a color, no color without a form. 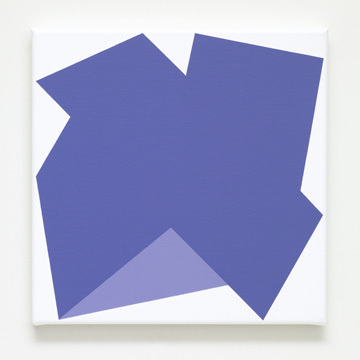 The Monoform : Monocolor painting is based on the idea of working with limited means. A single form, based on a square grid, is created optically. The form takes shape from a single color, chosen based on personal preference, emotion, and experimentation. The planes overlapping the form are painted in a lighter version of the base color. The form is refined in several stages. 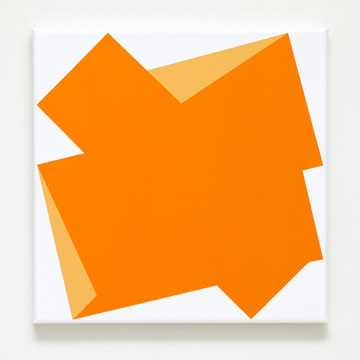 Unlike conventional paintings that focus on the center, the Monoform : Monocolor painting’s energy radiates from the center in four directions, activating the perimeter. 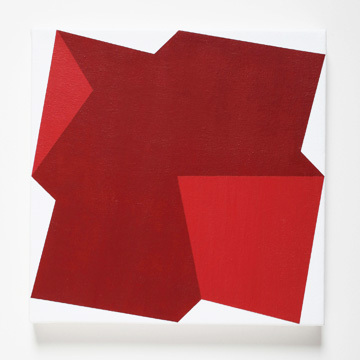 At the perimeter, the form’s serrated edge creates strong tension; the resulting white triangular shapes cast the form in sharp relief, suggesting a color membrane stretched within the white square. The planes overlapping the form appear to be folded to reveal the reverse side. Folded on different axes, the planes assume multiple spatial directions and imply a third dimension. 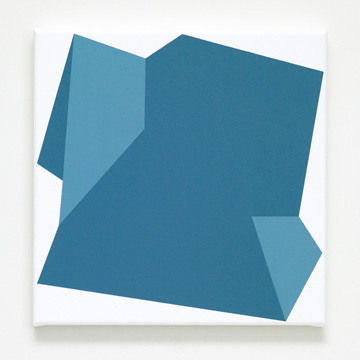 The viewer is challenged to ask: how would the form appear with the planes unfolded? With its single form and single color, the Monoform : Monocolor painting is conceived as an antidote to the chaos of forms and colors we are exposed to day after day. 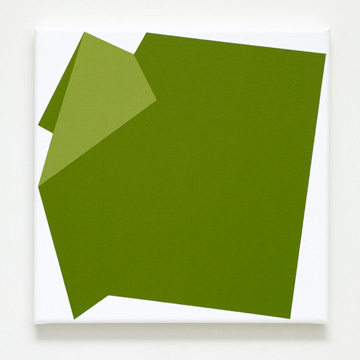 It is intended to slow the viewer down to contemplate – if only for a moment – form and color.